Rachel De Barros - Bio, Age, Measurements, Net Worth, Is She Married? Home Showbiz and TV Rachel De Barros – Bio, Age, Measurements, Net Worth, Is She Married? Rachel De Barros – Bio, Age, Measurements, Net Worth, Is She Married? Rachel De Barros is one of several women who are breaking down the stereotype in the auto industry. A few decades ago, some jobs were reserved for only men and it was almost unthinkable to see women in such industries. Like the auto industry, where most people thought jobs that involved engines and repair of cars were things that only men could do and a world where women actively worked as mechanics was impossible. As someone who has found her passion in assembling and disassembling car engines, Rachel has grown to become the Chief Marketing Officer and Executive Producer for Gearhead Diva, a Do It Yourself car building community. Her company has also made inroads into television with shows like All Girls Garage. These roles have made Rachel a successful woman and a celebrity in America with large followers on various social media platforms. You can learn more about the American star of Brazilian origin below. Rachel De Barros was born in Washington DC on the 4th of August 1978 to Brazilian parents, whose identities are unknown but are believed to have come from Feliz Natal in Brazil. She was raised alongside her sister, whose identity is unknown, like her parents. Rachel went on to earn a degree in Marketing from Ohio University. If you are wondering how a marketing graduate came to be a talented auto mechanic, it is a result of an undying passion that Rachel had acquired from her uncle when she was a child. Her uncle, at the time, owned an auto body shop, one Rachel spent a lot of time in. It was a desire for understanding how things worked which she picked up from her father, an electrician, that birthed a passion for cars in her. Although she did not start her auto-shop immediately after graduation, choosing instead to make use of her degree by operating a boutique design and marketing company, Purple Star Media. Rachel then enrolled at the Philadelphia Automotive Training School where she improved her technical knowledge of automobiles by taking the Automotive Training & Repair Program. At the completion of the program, Rachel De Barros was armed with the skillset of an experienced marketer and the knowledge and experience for repairing cars. Part of her experience also included repairing her fellow students’ cars while she was in college as a means of making money. Eventually, after years of owning her own auto body shop, Rachel De Barros expanded onto television as part of her vision of building a community of car building men and women. 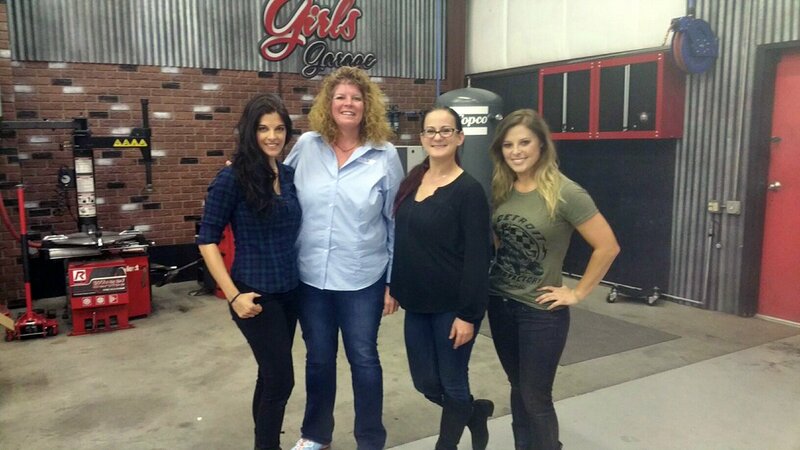 Her show, All Girls Garage aired its first episode on Velocity network on the 3rd of March 2012. While Rachel features as the host, the show consists of Sarah Lateiner and Cristy Lee. The show has remained on air with over five seasons released thus far. If you are not yet impressed by her, Rachel De Barros is also a qualified pilot, having learned how to fly planes as a young woman in her 20s. The auto-repair industry itself might not be the most lucrative industry but combined with her entrepreneurial efforts like her marketing company, Purple Star Media and Gearhead Diva, which has spurred its own television program, Rachael De Barros has been able to accrue a significant net worth of $1.5 million. As a notable name in her industry, she has also had the opportunity of earning additional income as a spokesperson for various auto-related products. When it comes to love or relationships, Rachel De Barros only seems to be interested in her cars and auto tools. The celebrity car engineer has never been married and a quick look through her social media pages doesn’t reveal the presence of a boyfriend for the television host either. Rachel De Barros might very well simply be keeping her personal relationship private away from the media, but at the moment, Rachel De Barros is believed to be single. Not only is Rachel De Barros breaking the stereotype about women in the auto industry, but she is also doing so while being absolutely gorgeous. The auto shop owner, television host, and marketer stands at a height of 5 feet and 2 inches. She can often be spotted with dark brown hair and dark eyes and a lovely big smile. As for her weight and body measurement, such as her waist, bust, and hip measurements, they are at the moment, unknown.